SoooOOOooOOoooO One of the raddest things about my experience at Spring Chase Con 2016 is that Sam Chase asked me if I would be interested in judging the cosplay contest. Immediately I was like “Hell Yeah”. I’ve been cosplaying for a few years and the contests always look hella fun & I write about cosplay often, so it seemed like a good time. It was. Confirmed. It was a good time. I had planned on only judging the adult contest but I somehow ended up judging the kid’s contest too, and LET ME TELL YOU, kids get so into cosplay, and they’re brutally honest. They’re passionate about everything they do, and it’s refreshing. The adult contest definitely had a few people that were REALLY INTO all the work they did for their cosplays (some good winners!!) but the kids got so into it and it was adorable. 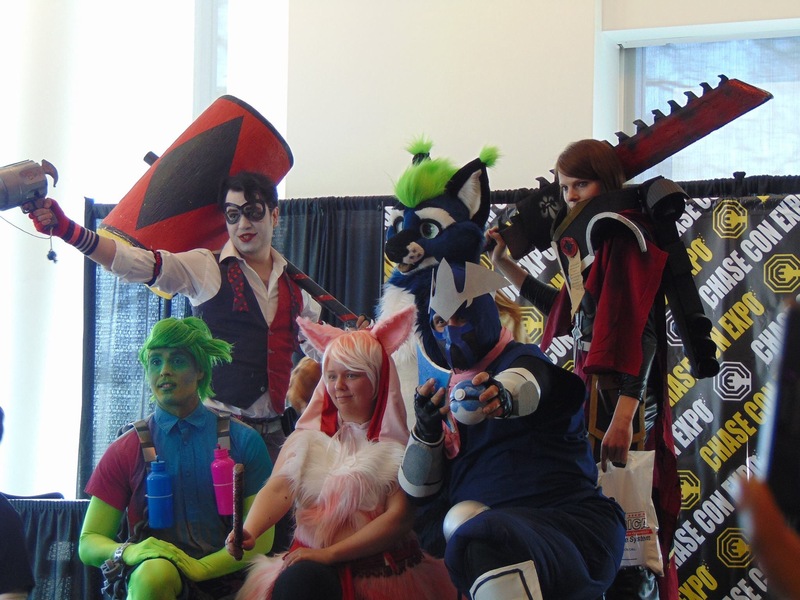 Anyway, we had to pick some winners, which was cool because it was really easy to tell who worked the hardest and loved what they did, and they people me & Coty were judging with were GREAT cosplayers and really nice. Besides myself and Coty Clark, the other two judges were Saraphina Cosplay and Chelsea Von Chastity, both really awesome ladies and you should check ’em out. Anyway, I don’t think we had any sore losers so to me EVERYONE is a winner. I love it. It was really cool being on the other side and really appreciating everyone’s work. I LOVED IT.